The castle that once defended this village is only two miles from Rennes-le-Château as the crow flies and can be seen on the left as you drive up the winding road to the Rennes citadel. To reach Coustaussa by road, you must go back into Couiza and then turn right as for Rennes-les-Bains. Two kilometres later the road for Coustaussa - it is very steep and winding - is on the left. 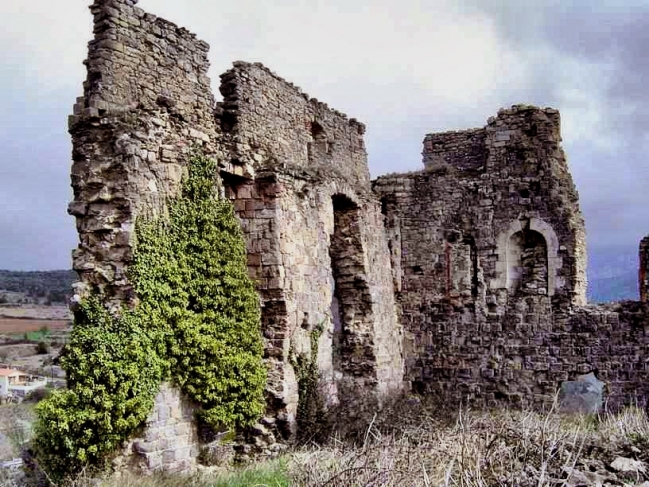 Today we are forbidden to visit the castle, it is considered to be unsafe. However, several brave researchers have done so. 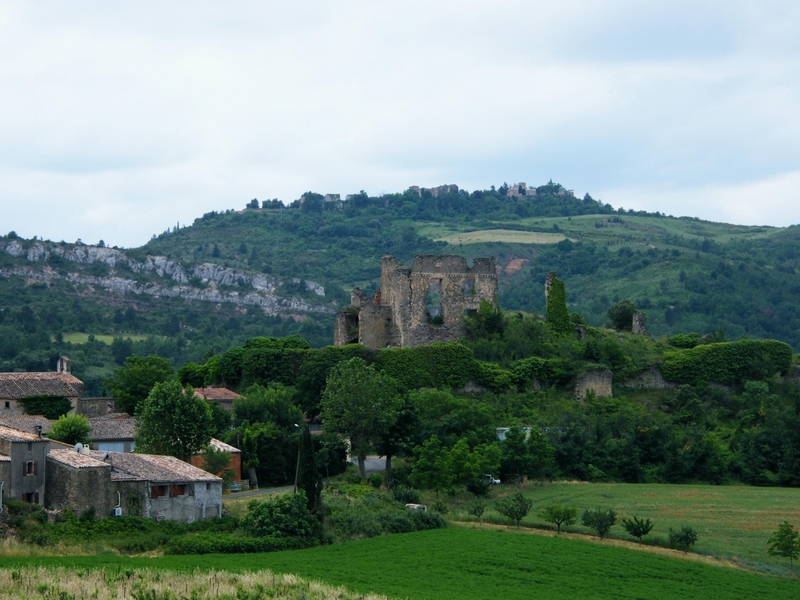 It was a Cathar castle, except that the inhabitants were warned that Simon de Montfort was coming, and so they went and hid. Their castle was ruined but their lives were saved. After the Revolution the castle was sold privately and some renovations were done but the project was later abandoned. Rumour says the owners keep refusing to sell it although many have offered for it. The church of Coustaussa is interesting for its Rosicrucian symbolism in the church, especially vines, because Jesus said; "I am the true vine." Vines are nowdays considered to be emblematic of a bloodline, especially through Jesus, but we do not know if that idea was common among the clergy of Bérenger Saunière's time. The priest at the time of Bérenger Saunière was murdered and the man was never found - to read more click here. The Grand Champ is situated about 200 metres on the Couiza/Cassaignes road to the north of the village. There is a map of the Grand Champ and details of the capitelles. 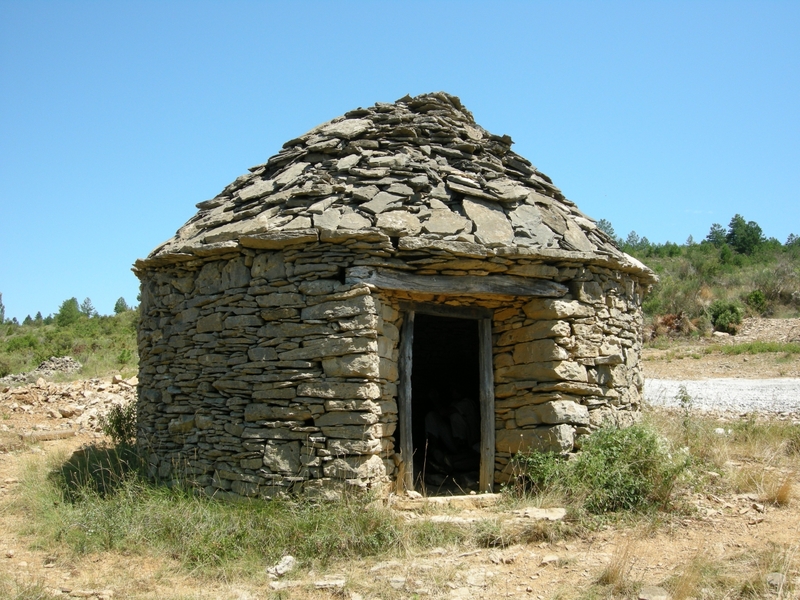 These are shepherds' huts built of stones, rather like the dry stone walling that surrounds them. I first saw them after reading "The Holy Place" by Henry Lincoln. Henry had discovered the strange "virtual" pentacles that seem to be part of the geography around Rennes-le-Château and concluded this landscape had been created by a "master race" who lived among the mammoth walls of Grand Champ. One of the pentacles included St. Salvayre, Rennes-le-Château and Mont Cardou - three of the places where legend says Jesus was buried. I myself have found an alignment between Rennes-le-Château, Grand Camp, St. Salvayre and Carcassonne. The local people say the Grand Champ was built by the Visigoths and the walls, from which the shepherds took the stones to make their capitelles, are the remains of fortifications. Well, I have been there and it is a beautiful spot with indeed, an air of mystery - and it has a lovely view of Rennes-le-Château across the valley. But a master race? I don't think so.